Volkswagen Caddy Interior, Sat Nav, Dashboard | What Car? The Caddy line-up begins with Startline trim, and for your money you get a pretty sophisticated looking interior. The centre console is focused around the infotainment system, which in the Startline has a composite colour screen that features DAB radio and Bluetooth connectivity. There is also AUX and USB inputs and an SD card slot. 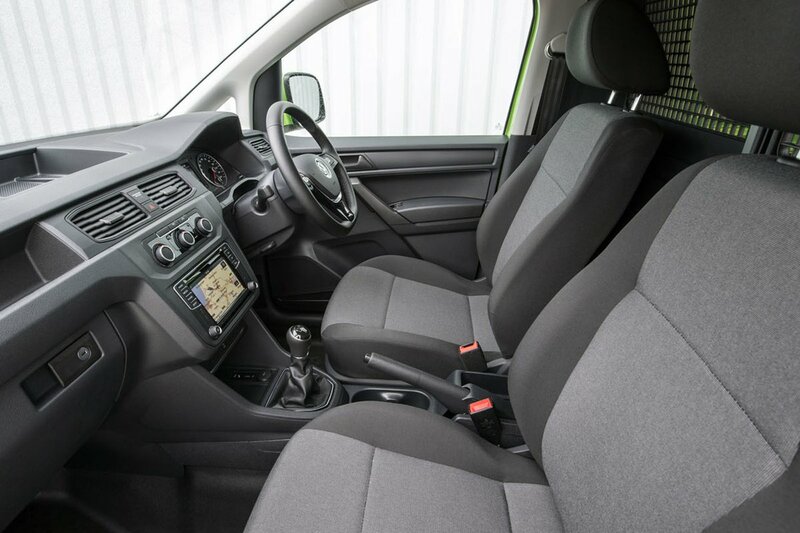 It’s a smart set-up, particularly for an entry-level van, with a leather multi-function steering wheel and electric heated mirrors just part of the package. 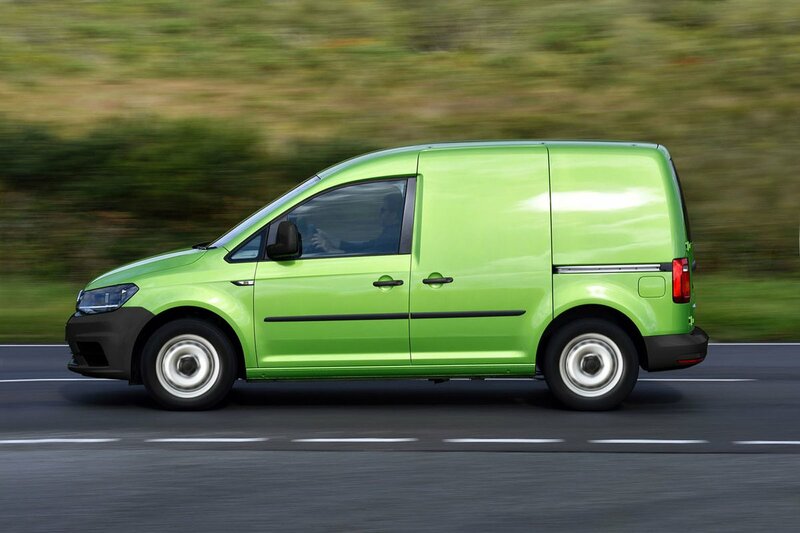 The interior is typically Volkswagen, so it’s exceptionally practical with loads of storage space – there are four drinks holders but only two seats, so you won’t go thirsty – and a three-way adjustable driver's seat with adjustable steering column. Trendline adds air conditioning, cruise control with speed limiter, under-seat storage on both sides and upgrades the driver’s seat to eight-way adjustability. Body-coloured bumpers and mirrors also make an appearance along with rear parking sensors. As if that wasn’t already enough, Highline models get a heated windscreen, alloy wheels, fog-lights and the vision pack, which includes automatic wipers. There’s also an upgrade to the infotainment system with a 6.3in touchscreen and sat-nav. While the Caddy’s interior is crammed full of equipment, it’s not a particularly comfortable place to be and that is largely down to the seats. Although there is a good deal of travel and flexibility with the Startline models, you’re much better off opting for the Trendline trim that has the extra adjustment. It may seem excessive, but if you plan on spending a long time behind the wheel, it is a must. Seating aside, the rest of the interior is pretty ergonomic. 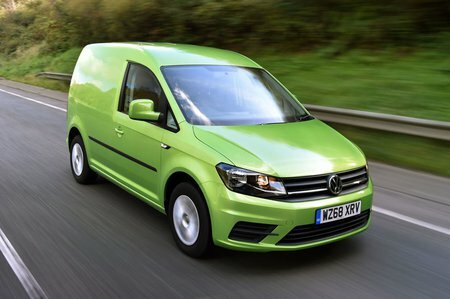 Small vans are plagued by a lack of storage, but the Caddy does remarkably well at swallowing your stuff.